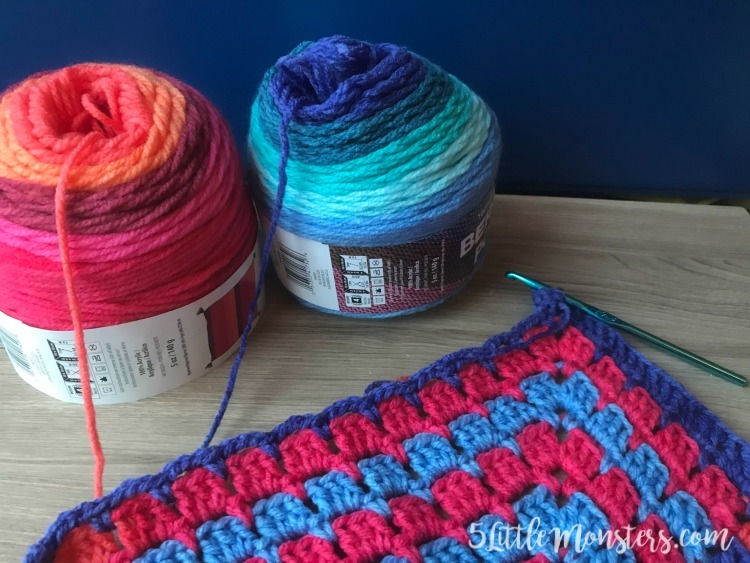 For a while now I have been wanting to try making a blanket with two colors of the striped cake yarns (Caron Cakes, Bernat Pop, Lion Brand Mandala, etc) alternating colors each row or round. I thought it would be kind of fun to see how the color changes happened between the two colors. 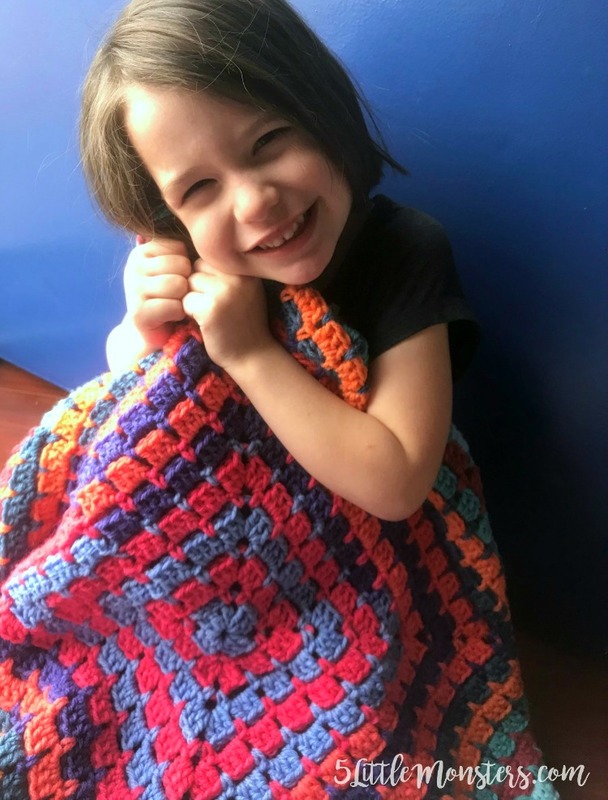 I finally got around to actually trying it and this blanket is the result. 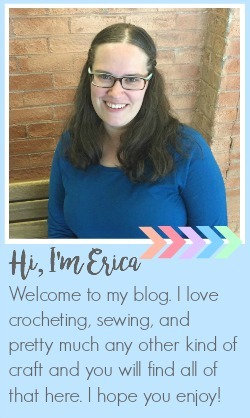 I went to Walmart to pick out some yarn since it is the closest and most convenient store for me to go to and I knew they carried both Bernat Pop and Lion Brand Mandala, plus I feel like I am already there about every other day to pick up random things we need from the store. I looked through the selection and came up with a couple of combinations I thought would be fun to try. I ended up buying a couple options, one of Pop and one of Mandala. 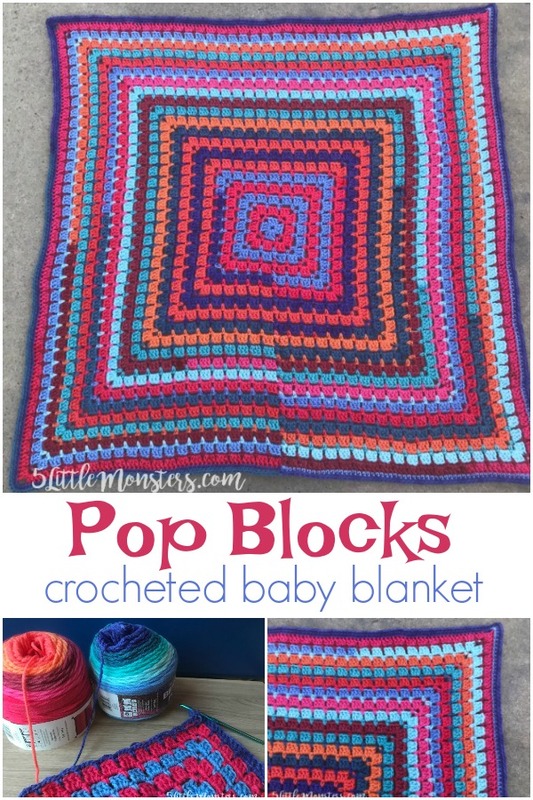 For this blanket I used the Pop yarn and I chose the colors Blue Blaze and Scarlet Sizzle. I will share my Mandala choice in a future post. The main things I was looking for in my color choices were colors that I thought would look good together and colors that would give a lot of contrast. I thought the blues and pinks, the warm and cool colors would give me the contrast I was looking for. 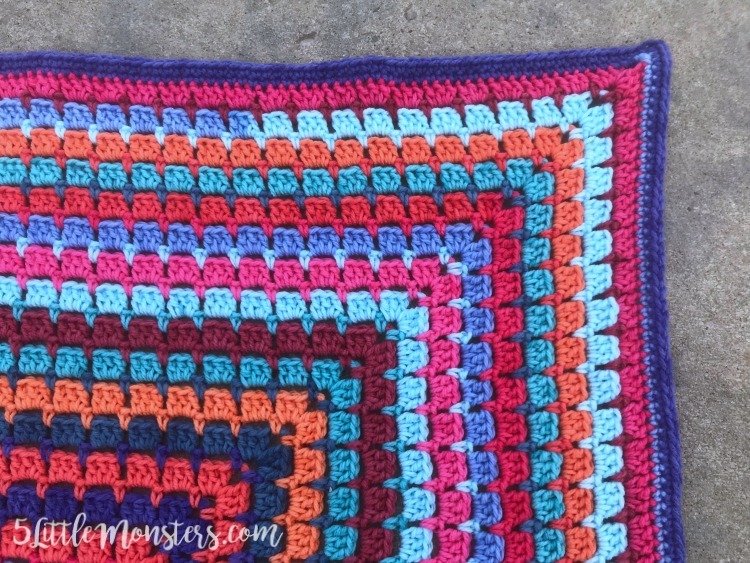 I decided to go with a pattern worked in round for this blanket. 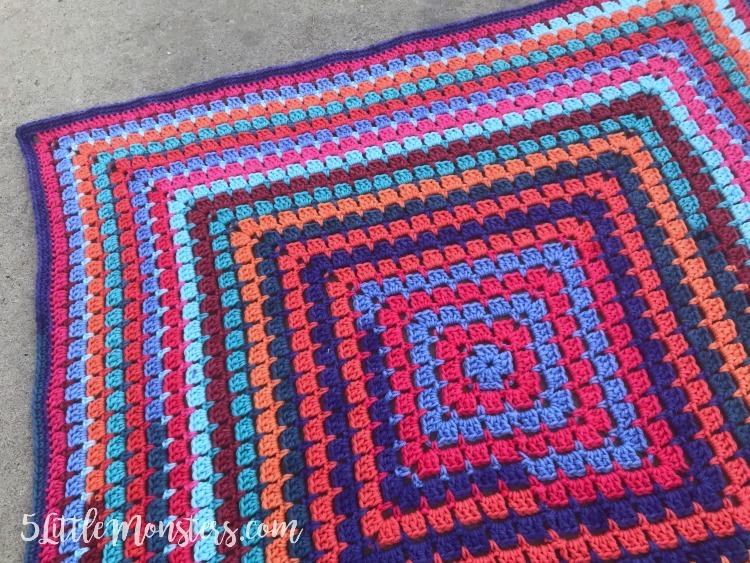 I chose the block stitch which is a 2 round pattern so I changed colors every 2 rounds. 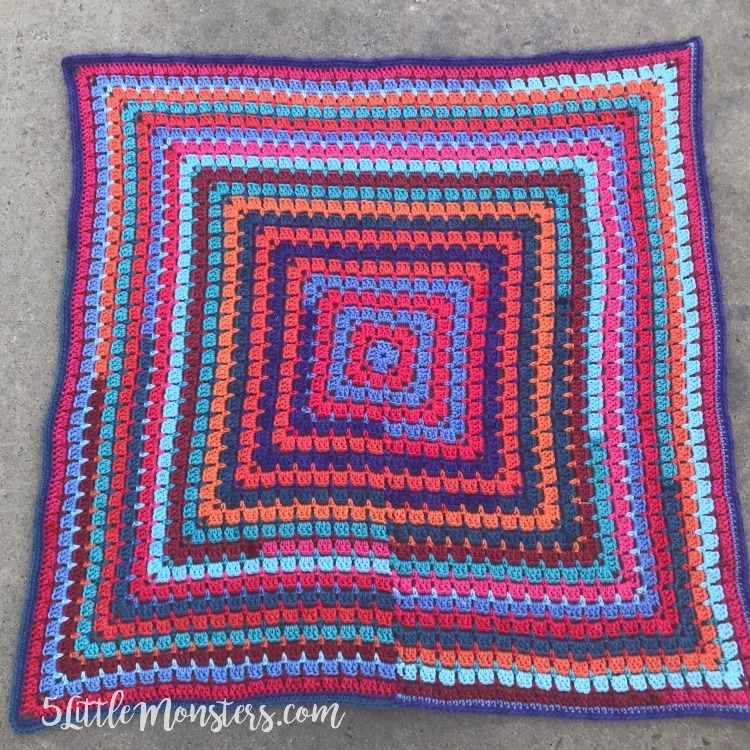 Continue working the pattern changing colors ever 2 rounds and adding 2 more cluster on each side with each color change. When you reach the desired size move on to the border. I did a total of 39 rounds, ending with a round of color 2 (scarlet sizzle). This looks great! I would love to try this with the softer pastel colors.